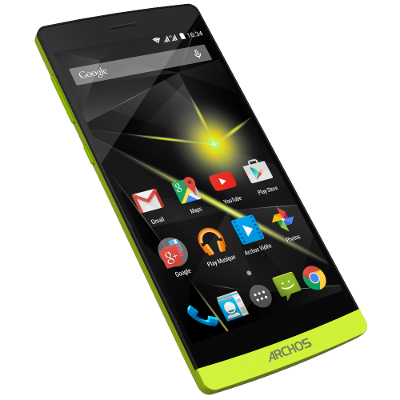 The brand new Archos Diamond Plus. A well-deserved sequel to the excellent 50 Diamond. I've bought the phone the day it went out, and here are some flaws it has, as well as a general overview. Unfortunately when I opened the phone, it lagged very much on locking/unlocking it. I searched the web, Android 5.1 should be free of memory leaks, so I have no clue what's causing it. It takes about 5-8 seconds to light up the screen after clicking the power button to unlock and for another 15-20 seconds after that, anything you press just won't work, or it works after a few seconds. The amount of lag in this phone is irritating and not something that its buyers would want. As it turns out the reason for the lagging was the SD memory card, which, after a couple of restarts was invisible in the phone, its storage space was nowhere to be found (same issue I had with my 50 Diamond, after a couple of restarts the phone would "lose" the memory card, not seeing it anymore). But this time this brought along this very annoying lag. After removing the SD card, phone got back to normal.